In the past forty years the study of ecology — the relationships between organisms and their environment — has blossomed into an active and well-respected field of biology. Ecology oriented biologists are no longer studying organisms in laboratories removed from their milieu. At last scientists are acknowledging that many traits of an organism, ranging from behavior to survivorship, are dependent upon setting, upon relationship, upon connectedness to other organisms in the web of life. The strands have become as interesting as the nodes, and as a result the scientific study of modeling these connections has also become a burgeoning field of study. In the 1979 classic, Gaia: A New Look at Life on Earth, James Lovelock took one step beyond ecology. He presented the idea that an all-encompassing web of connections exists between the earth and all things on the earth, and that this vast net could be considered a single organism: One is in All and Many is in One. He called this super-organism Gaia. Although the Gaia Hypothesis was first presented and discussed in scientific circles, where it remains controversial to this day, the vast collection of essays Scientists Debate Gaia: The Next Century shows that in no time at all Gaia was being celebrated in music, art, literature, and religion. It was as if we knew all along that everything was interrelated and at last the contemporary culture had a name for our oneness: Gaia. In Lawrence Joseph’s thoughtful Gaia, the Growth of an Idea, Lovelock states that for every letter he got about the science of Gaia, there were two concerning religion. And if all is connected, as we are seeing that it is, then this is the place where science and religion share the closest connection at present. The Gaian Web is not just material, it is also spiritual; and the two persons in the western world who have been most successful at spreading the gospel of ecology were both priests. The first, Pierre Teilhard de Chardin, was born in France in 1881. He became a Jesuit priest, and eventually, a research geologist. But the real reason we still discuss Teilhard de Chardin today is his amazing grasp of the interconnection of all things and his prescient understanding of what the future holds for this living web. Fortunately for us he was also meticulous in writing down his thoughts on these matters. His seminal work, Le Phenomène Humain, was published in 1955, the year he died. Translations into English — The Human Phenomenon — soon followed. Teilhard’s writings gained popularity so quickly that the Pope issued a warning about them. The Holy See directed religion instructors and presidents of universities to “protect the minds, particularly of the youth, against the dangers presented by the works of Fr. Teilhard de Chardin and of his followers.” What dangers are they? The danger, I suppose, of understanding that all of life is connected and, most radically, the idea that life is not static. Teihard wrote about a progression — a place life came from and a place where it was going. Planetary life, he said, begins at Alpha and progresses toward Omega. How should our unique consciousness inform our relationships with other living things? Does our unique consciousness give us unique influence over the implicate order? Teilhard was one of the first theologians to understand not only how evolution had brought us to our current situation, but to describe where the future was taking us. Because his thinking was so visionary and complex he had to invent terms for some of his images. He coined the term noosphere to describe a web of interconnected thoughts. And now, like a germ of life in the dimensions of the planet, the thinking layer is developing and intertwining its fibers over its whole expanse, not to blend and neutralize them, but to reinforce them in the living unity of a single tissue. I positively see no other coherent, and therefore scientific, way of grouping this immense succession of facts, except by interpreting the “superarrangement” that all thinking elements of the Earth find themselves subject to today, individually or collectively, in the sense of a gigantic psychobiological operation — as a kind of megasynthesis. Bohm imagines the whole as an ocean of energy which he calls the implicate order. Out of this implicate order come the things we can touch and see — the so-called real things of the explicate order. I am concerned with the maternal principle out of which we are born and whence we derive all that we are and all that we have. In our totality we are born of the earth. We are earthlings. The earth is our origin, our nourishment, our support, our guide. Our spirituality itself is earth-derived. If there is no spirituality in the earth, then there is no spirituality in ourselves. The human and the earth are totally implicated in each other. Pay attention, here, to his use of the word implicated. The root of that word means “to interweave or entangle, entwine.” We will see the use of another form of that word in David Bohm’s writing, Wholeness and the Implicate Order. Bohm (1917-1992) was a scientist who made a name for himself researching quantum physics. In many ways he was following the trail of Albert Einstein, who died before he could complete his quest to describe a “unified field theory.” Bohm claimed that even though Einstein was correct in challenging the prevailing notion that matter is made of independent particles, he was not quite correct in suggesting that it should be understood as “fields.” For even fields, said Bohm, “are conceived as existing outside each other, at separate points in space and time.” Bohm believed instead in an “unbroken and undivided totality of existence.” He never claimed to have all the answers; but he was one of the rare physicists who spent so much time on the thin margin between the measurable and the unmeasurable that philosophers and theologians made up much of the audience when he lectured. Bohm recognized that humans tend to divide the world into two categories: the real things made of matter, such as buildings and trees; and the not-real things that are part of our consciousness, such as love, hate, and memory. We usually assume that what happens in the not-real world of the mind does not affect the real world, but Bohm wants us to think differently. He gives the example of an architect who designs and builds a real house. Where did the design for the house come from? From the not-real world of the architect’s mind of course. And where did the architect get the ideas he used to design the house? From the real world surrounding him. And now that the house he designed is real it will influence other minds, and thoughts will once again become reality. Mind and matter are but two aspects of one whole. The real reason we still discuss Teilhard de Chardin today is his amazing grasp of the interconnection of all things and his prescient understanding of what the future holds for this living web. Bohm imagines the whole as an ocean of energy which he calls the implicate order. Out of this implicate order come the things we can touch and see — the so-called real things of the explicate order. 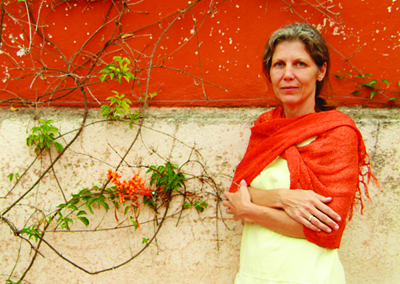 “Matter,” says Bohm in Reneé Weber’s Dialogues with Scientists and Sages, “is like a small ripple on this tremendous ocean of energy, having some relative stability and being manifest.” Bohm explains that there are hints in the formulae and experiments of quantum physics suggesting that our consciousness plays a role in the creation of the explicate order. Berry believes that humans have a special responsibility because of their consciousness. 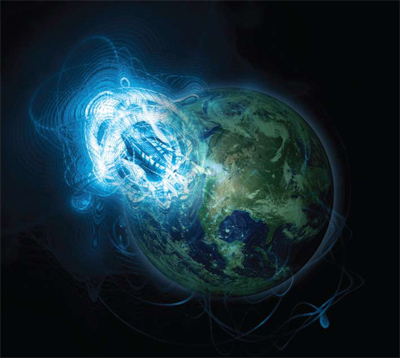 If there is consciousness in the human, and if humans evolved from the earth, then from the beginning some form of consciousness is present in evolution. What does it mean, he muses, that we are the consciousness of the earth? What does it mean to be human when we recognize that the spirituality of the planet, as Berry says “finds a distinctive expression in the human mode of being.” And finally, how should our unique consciousness inform our relationships with other living things? Does our unique consciousness give us unique influence over the implicate order? Such are the great questions that we as a species and as individuals face today. What is our responsibility, what wise choices shall we make as conscious creators within the Holy Web of life? Joan Maloof, PhD, is an associate professor of biological sciences at Salisbury University. Her research in pollination biology has been published in Ecology and The American Journal of Botany. 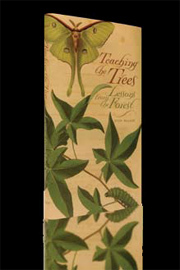 Her first book, Teaching the Trees: Lessons from the Forest (University of Georgia Press, 2005) won an Honorable Mention from the Association for the Study of Literature and the Environment. 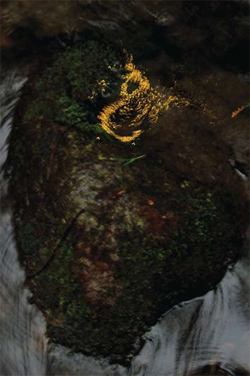 Her second book, Among the Ancients, published by Ruka Press, will be available May 2011.